​Oil on canvas: 45 ¼ x 37 7/8 in. 114.9 x 88.6 cm. 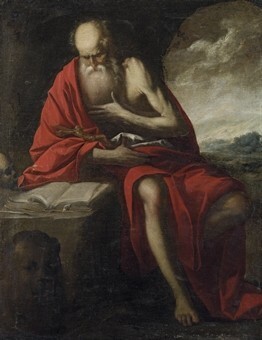 This work clearly emanates from the circle of Ribera, at a time when the Spanish and Neapolitan schools were closely ​interlinked. I am writing to enquire about "​St. Jerome in the Wilderness"